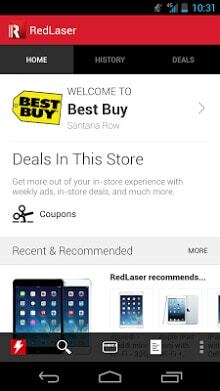 Rated as a top shopping app by US Today, The New York Times, CNN Money, PC Magazine and Smart Money magazine, RedLaser helps millions of shoppers shop smarter every day – and it can help you too!
. Find deals and coupons from many merchants. 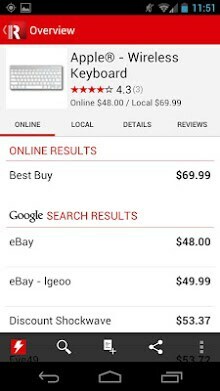 You can view top deals of the day or browse deals by store.
. View popular products scanned by other RedLaser users.
. Create shopping, wish, and gift lists to share with friends and family. Also great for archiving your book, CD, DVD, and even your wine collection!